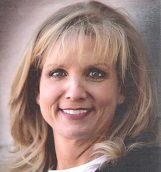 Terri Riley is a go-getter with over 20 years of experience in marketing and sales. Much of that experience has been helping families find retirement living homes in Searcy, Arkansas. Having moved to Searcy several years ago, she understands the need for reliable assistance throughout the process of buying or selling a home. Her experience with today’s technology can assure you that she will be available on your schedule. Email, text, or call – she will answer you as soon as possible to make sure that you receive the best service. Terri is married to Keith Riley, a local businessman and is active in Downtown Church activities as well as local non-profit service. Whether you are looking to buy your first home, your dream home, or downsizing to accommodate your empty nest, give Terri a call!